FOR SUCH A new medium, mobile games have already gathered quite the set of negative connotations. At best, they’re regarded as the EPs of the gaming world, tiding players over until the LP comes out, or released simultaneously as bonus material (Fallout Shelter is an example of the former, the GTAV app of the latter). At worst, the commentariat derides new mobile ventures as a cynical cash-grab, particularly when they’re tied to a pre-existing series. Between the two extremes, they tend to be viewed as a necessary industry-wide evil to which even revered giants like Nintendo must pay tribute if they hope to survive. The fundamental assumption is that within any given digital era, the scale of the PC and console games created will always exceed that of mobile. At a basic level, this is true: new games for open-world series like GTA, Dragon Age, and Fallout have been far too large to fit in any practical way on the mobile devices that existed when these titles were released. Wait a decade, though, and it’s no problem to fit an entire GTA title onto a phone. The entire early Infocom library – a whopping 25 games, including the classic text adventure Zork – fits into a single app. Increasingly, the question will be less whether a given game will “fit” onto mobile devices, and more whether doing so is at all practical or appealing. Put another way, it’s less a question of can than should. Increasingly, the major sticking point for playability of larger games on a mobile device comes down to game controls. Modern console controllers have met keyboards halfway, featuring (arguably, in the case of a standard PS4 controller) up to 20 directional sticks, sliders, and buttons. Mobile devices, on the other hand, have dropped their physical keyboards entirely, relying instead on the Jobsian zen of a touchscreen and a single button. From this perspective, mobile ports of games that rely heavily on multi-button controllers are mere facsimiles of their originals, funneling nuanced controls into a simpler language of slides and taps. More broadly, it’s gotten to the point that many of us view a mobile entry in a beloved PC or console series as fundamentally flawed, like a nostalgia-heavy music video preceded by an abrasively saccharine YouTube ad, or a beloved childhood novel rebranded with a movie tie-in cover. Again: at best a necessary current-century evil, at worst a pocket-sized deathblow to games-as-art. And yet: mobile games can be gorgeous, particularly when they embrace touchscreen controls as a vehicle for scalability and exploration. The model for this type of gameplay over the past two decades is bookended by two much-hyped non-mobile titles: Myst (1996) and P.T. (2014). Both games are pinnacles of exploration-based storytelling, requiring players to visit and revisit eerie, totemic tableaux in order to unlock further progress. Players can (and must) interact with some on-screen objects, but the fundamental action of the game is looking. These “first-person lookers” both use subtle changes to previously-viewed objects and environments to further their respective stories. Both make frequent use of documents, scraps of paper, and scrawled words and images. Most importantly, both exude an exquisite creepiness (subtle in the former, nightmarishly insistent in the latter) that builds steadily through tightly-controlled revalations. While Myst itself has come full circle and now has a mobile port, it has spiritual successors in two recent mobile games: 2012’s The Room and 2014’s Monument Valley. 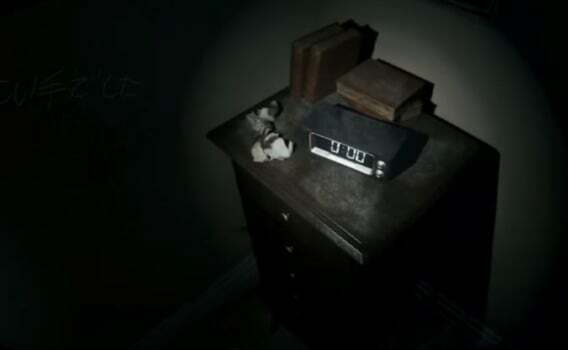 In The Room, players find themselves alone in a room with a strange puzzle box that must be poked, prodded, and examined carefully in order to unlock further progress. 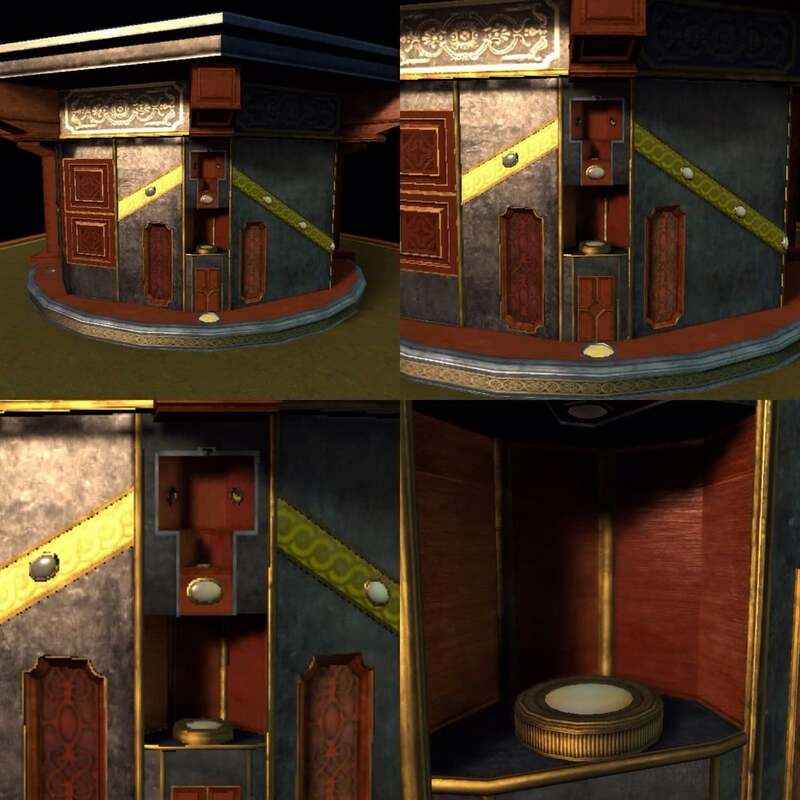 The touchscreen controls are a perfect match for this type of gameplay: the taps and swipes required are more rather than less natural than the point-and-click gameplay of Myst (or, for that matter, of The Room‘s own PC port). The game uses high-contrast lighting to illuminate its central object’s various surfaces and crevices, and players may find themselves rotating the device back and forth just to watch the play of light and shadow. Most importantly, the exquisite creepiness of Myst‘s uninhabited island is fully intact, built layer by layer through a slow, steady progression of clues. 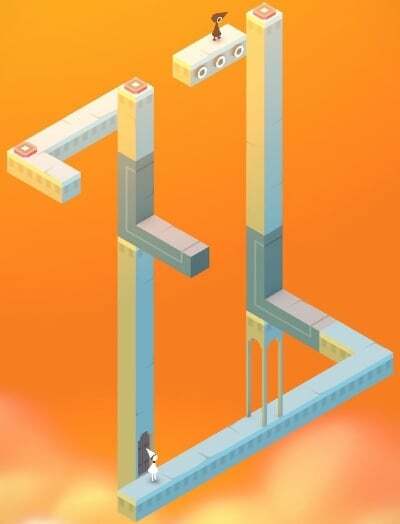 Monument Valley is widely hailed as a masterpiece of mobile gaming. Like The Room, its core mechanic is that of a puzzle-box, but its environments as expansive and multichromatic as its counterpart’s are dark and shadowy. While The Room toys with Escher-esque illusions and forced perspectives in some of its puzzles, Monument Valley makes them a central mechanic, and traveling through the game’s ethereal, floating structures requires a great deal of un-learning one’s ideas of perspective and level design. The game’s aesthetics strike a perfect balance between whimsy and creepiness, with tiny characters perfectly suited to tablet- or phone-sized screens. The Room and Monument Valley are just two in a vast, often overwhelming sea of mobile games, but they present a compelling vision of works that treat the format’s parameters as strengths rather than limitations. Accordingly, instead of feeling like compromises or approximations, they come across as fully-realized creations, succeeding both as minute-by-minute entertainment and broader narrative art.